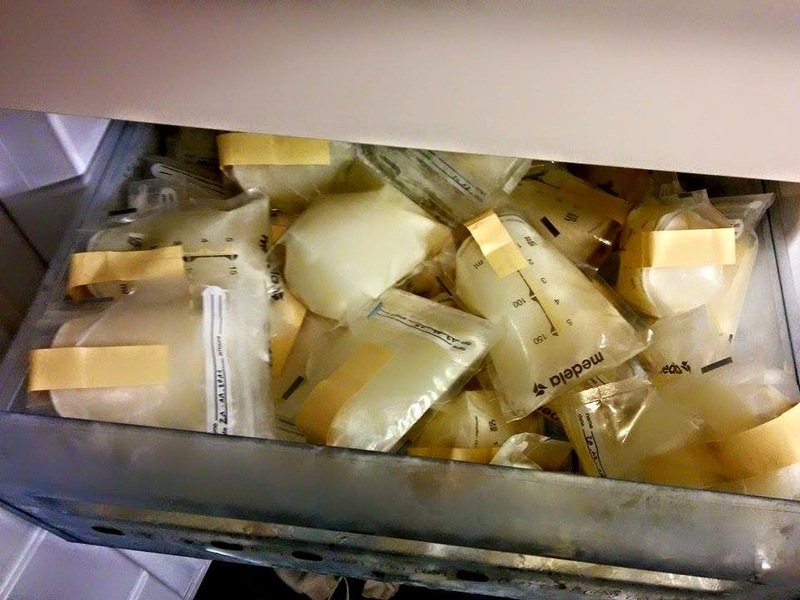 After my last post about potentially asking my friend for her excess milk, I did an enormous amount of research and spoke to many many people about the pros and cons of using another woman’s breastmilk, particularly in an informal fashion, and not from an organised milk bank. It lacks the diligent screening that occurs with such milk sharing, lacks the pasteurisation and the guarantees. Opinion seems very divided, and people are very passionate about their views either pro or con. Those who work in the medical field berated the consideration of such a thing, as it is a bodily fluid and should be (and often is) treated in the same way as blood. Others were so passionately for the sharing of breast milk, as it is the best nutrition for my child, it is mothers helping mothers, it is community, it is a ‘why not’ situation. And a lot of people had opinions that they couldn’t properly articulate, where it would just ‘feel strange’ or makes them ‘uncomfortable’. I had to figure out where I stood. As usual, I was pretty divided. I have always been very interested in mainstream medicine, very much having wanted to study medicine and become a doctor myself for a long long time. I also, though, consider myself reasonably alternative and humanistic, wanting to believe in and trust people, and yet often struggling to let go of full control. So I researched. I researched everything. Every possible medical risk — I made sure I knew about it. Everything that I could do to decrease this risk — I made sure I knew about it. Home pasteurisation? I knew about it, knew the process, the pros and cons, and was equipped to make the right decision for me. I forgot my necklace for this little grabber to cling to! 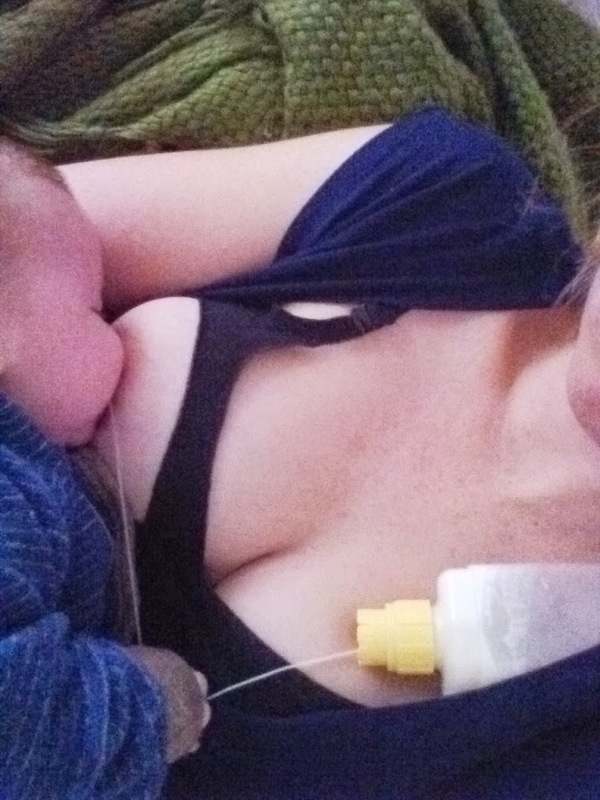 It turns out that this lovely woman was pumping 150ml from one breast, once a day in the morning while she fed her boy from the other side. She was pumping with the expectation that her milk would go to somebody that I know second-hand — a reasonably renowned person in the medical community, and that made me trust it all the more. All her tests had been done, she was the perfect person for the job, and she was very excited about being able, so easily, to help another mother in need. It was all organised, and then three months later, her freezer was full and still nobody was collecting it. It turns out that the husband did not agree with the situation and felt very uncomfortable with their child growing up on another mother’s milk. As my big boy says, ‘What a bummer!’ And so, my midwife contacted me. She knows the story of my first breastfeeding journey and she has been through it all with us. She understands my wants as much as anyone. I received the message this morning, spent all day speaking to both my midwife and my lovely milk mama, and then — after collecting a few cooler bags from my friend down the road (what kind of Aussie doesn’t own an esky?!) — I went to collect it. What do you bring for the woman who is about to give you masses of her milk, that she so lovingly pumped for somebody else’s little baby? I had no time, so I brought a huge bunch of tulips, a beautiful potted plant (in case she isn’t into cut flowers — her man is a gardener, after all) and the biggest fanciest box of chocolates I could find. When I was there, I found out how much a box of the freezer bags cost (so expensive! Crazy!) and gave her the money for the bags, which I’m happy that she took. Giving me her milk should not be costing her money, after all. We had tea — breastfeeding tea — I spoke only in my interesting German the whole time, and it was just lovely! I feel so warm and fuzzy about it all. The only reservations she had were that she was very worried that the curry she eats may cause my boy some problems, but I assured her we are a curry house too, and goodness this little boy seems to have a wonderful digestive system! Ha. And now we have plans to take our little babies for a coffee and wool-clothing shopping trip. So two milestones for me today. I have a freezer full of breastmilk and I made a new friend by speaking in only German. Phew. A big day for this mama. Jeani! Thank you so much for the comment, it is nice to actually get some on the blog itself 🙂 Glad you enjoyed our story! So proud of you for speaking German! As far as the milk goes, if your gut feeling is right, go for it! 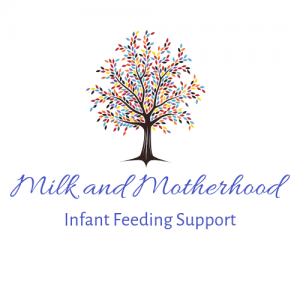 My breastfeeding journey started really rough and my daughter had to be supplemented with formula for her first month. Then things turned around and I was able to pump plenty for her and had extra in the freezer! I applied to donate to a milk bank but they wouldn't take my milk because I was taking an allergy med. They asked if I would stop taking my meds and I declined. I was able to find a couple of moms in my area through a fb group and I donated hundreds of ounces to each of them. It made me feel so great to help other moms because I knew how hard G's first month had been on me. I'm glad you were able to find some milk for your LO and make a new friend in the process! What a great story! I now run the 'Human Milk 4 Human Babies' organisation's page in Switzerland, and I've since learnt how amazing it is for the mums who are able to donate, too, and not just for us who are the recipients. It is SO VERY HARD here in Switzerland to get your milk accepted by a milk bank, it kind of breaks my heart… and when I kept hearing of women who didn't need their milk anymore and it was getting too old and they were just having to throw it away… oh goodness, my heart! So I am SO happy to hear you found women who would happily use your milk, I know how grateful they would be!